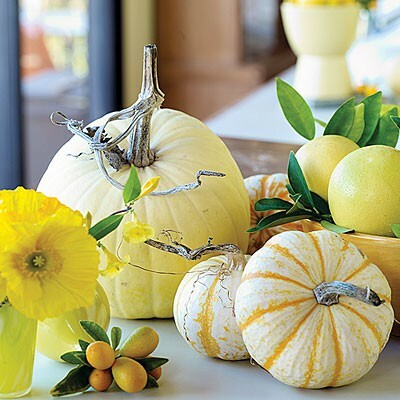 As much as I love orange, this October I am loving pumpkins that aren't so much orange, but yellow? 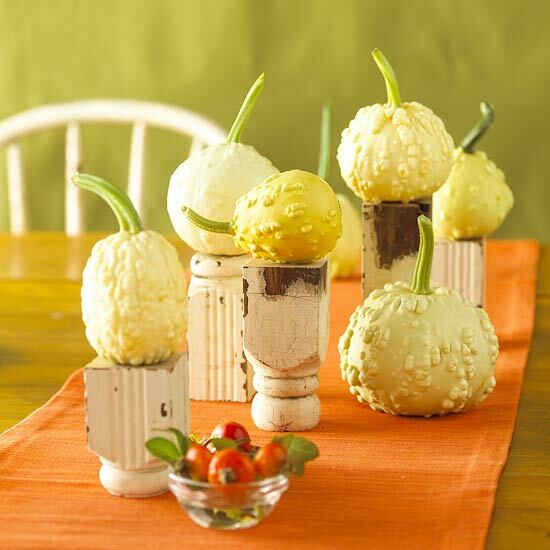 Have you seen yellow pumpkins? 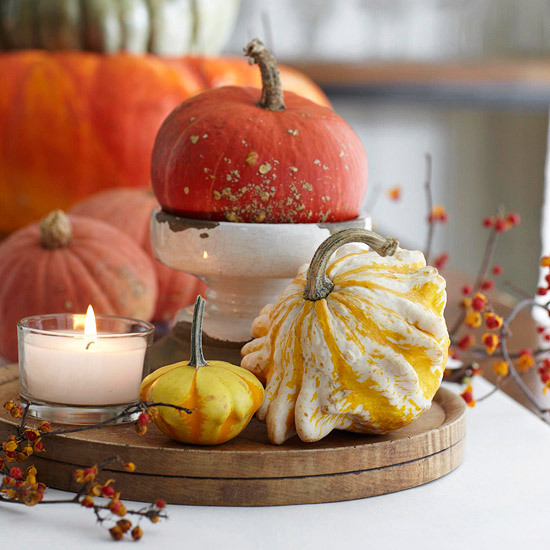 These warm colors are what's turning me on this fall. Orange? 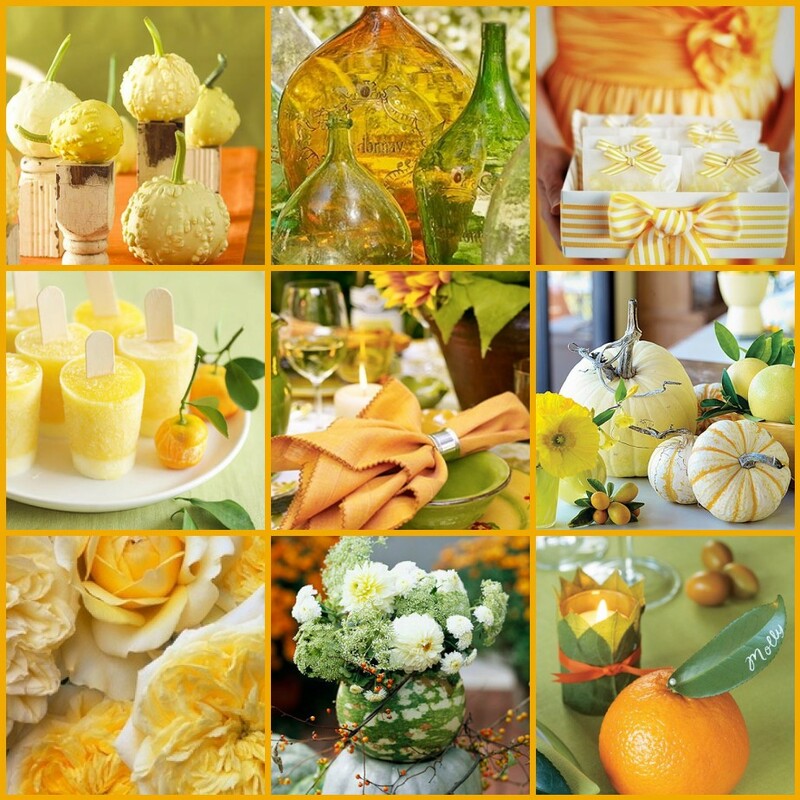 Yes please... light orange mixed with yellow and white and green ~ so pretty! Lovely collection for us to peruse, and I loved your post on mums. I only like mums when I'm left with no choice but accept the fact that fall is here, and I get absolutely depressed when I see the first ones at the store...usually in August!! None for our house until very late September/early October!! Following you now--I'd found your blog when I started blogging about a year ago, so I've come back to follow. I invite you to visit back! Very pretty, Jan. 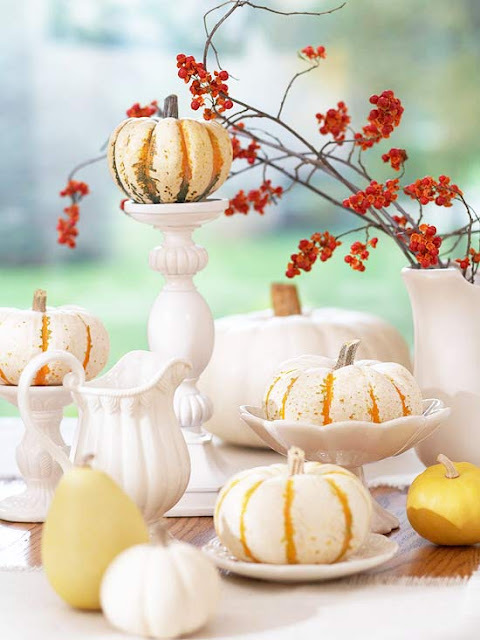 I love white pumpkins, too! I was at the store the other day and saw pink pumpkins. Not bright pink, but a softer hue like the yellow ones you show. Like to see different variations other than the regular orange. Another gorgeous post! Keep 'em coming! Oh yes,I love these colors too. 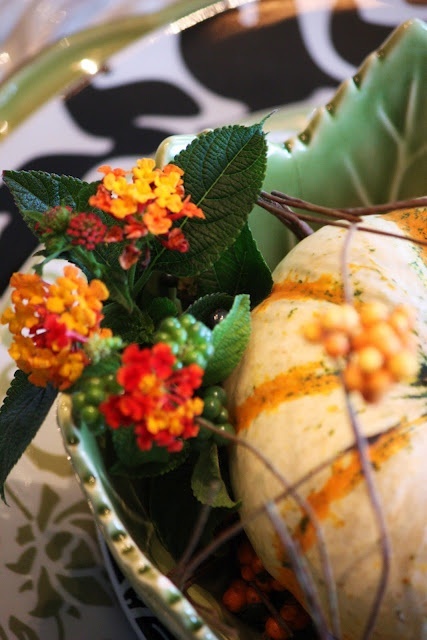 My sister had these colors throughout her home they are so pretty and fresh! I grew orange pumpkins this year and they turned out wonderfully. Many of them were hanging the wholt time, so they're perfectly formed. Maybe next year, I will do the little white baby boo pumpkins. I do love those. 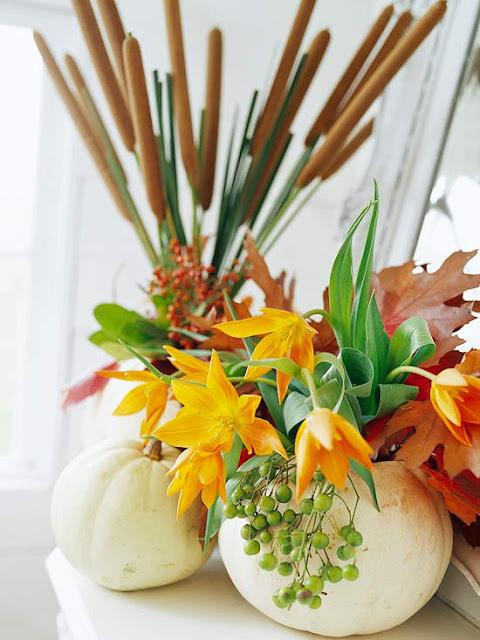 Don't know how I missed this post…love all of the pictures and LOVE the fun, non traditional pumpkins!